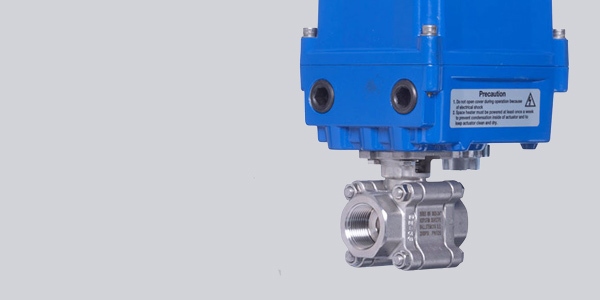 Our new modulating Electric V Sector Ball Control Valve has proved its worth in a new high-tech manufacturing plant in the North; improving efficiency and offering anti-foaming flow of the product. A large manufacturer of wax based products and water-based paste needed to control the flow of additives into its mixing tanks to improve the fill without foaming. Foaming causes a number problems within a system for level and flow sensors. Due to initial costs involved in the build and setup of the new manufacturing facility the problem needed to be resolved cost effectively. Valves Online were brought in to evaluate the system and find a solution. We met with the customer to examine the plant and provide a solution to the problem. 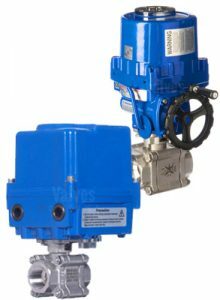 Globe valves were ruled out from the start after careful consideration, partly because of their initial unit cost but more importantly because of long term, ongoing maintenance costs which go hand in hand with production downtime. Ensuring minimum disruption was critical! The use of Pneumatic valves was also not possible as the plant had no compressed air on-site. The solution - our new EC4701 V Sector Ball Control Valve. Having selected the correct size actuator and V segment ball (in this case it was a 60° V notch ball) we compared the price of our new Electric V Sector Ball Control Valve with the price of a comparable globe valve. We found that our Electric Control Valve was over 70% lower in cost when compared with the globe valve! More importantly it ticked all the boxes where performance, reduced maintenance costs and downtime of the manufacturing facility was concerned. The recommendation was made to the customer and subsequently the valve tested, fitted and approved. Accepting an input control signal from a PLC, our Electric V Sector Ball Valve continues to exceed expectations...avoiding overfill and employing a de-foaming action. Take a closer look at how our new EC4701 Electric V Sector Ball Control Valve can deliver results for your manufacturing facility. Call our technical team on +44(0)1822 855600 or +44(0)161 580 4700 to discuss your requirements in more detail.